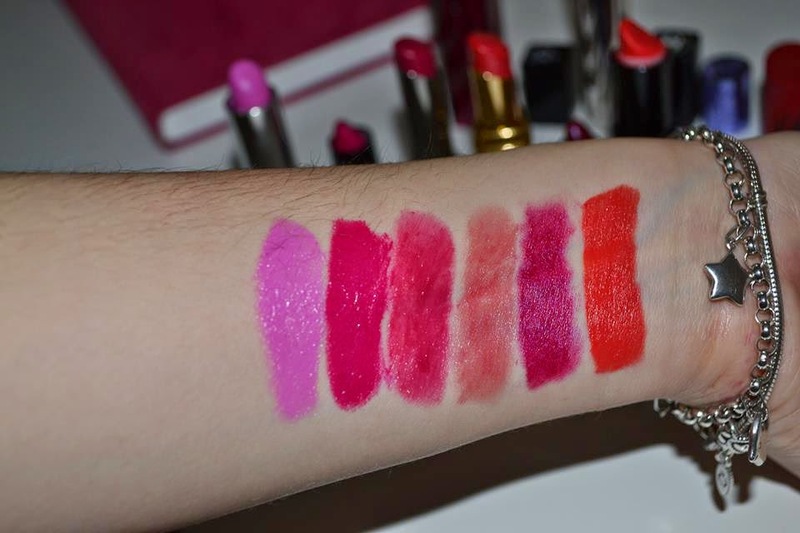 It's a beautiful day outside and so today I want to show my favourite lipsticks for the upcoming summer (I feel like I've been saying upcoming for a long time now...when is summer finally gonna be here? ok, rant over). These are all stunning bright shades because the brighter, the better! A light-medium pastel bubblegum pink with cool blue, but almost lavender undertones. Its build-able sheer coverage is so juicy and nourishing, and whilst the colour may be hard to pull off on some skin tones, I find it flawless for that sunny hot day. I've been a fan of Mary Kay stuff ever since I tried their amazing eye primer, so when I got this lipstick I knew it would be just as good quality. 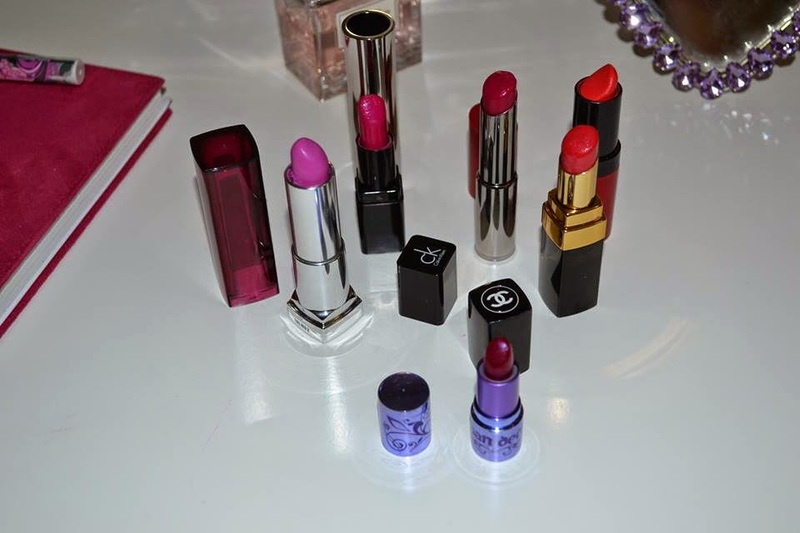 The colour is a beautiful vivid pink with purple undertones, and you only need a few swipes to get fabulous fuchsia lips. Again, the texture is heavenly and application is smooth. Long lasting and sheer finish also define this super pretty lip shade. A strawberry red with really fine shimmer. I thought the shade would be more pigmented when I got it, but I've now grown to love it. It's classy and delicate, and ideal for those who normally flinch away from bold red lip colours but still want to experiment. As with all of these lipsticks, this feels incredibly light weight on my lips. It doesn't last for more than a few hours, but that doesn't bother me too much. This isn't the full-sized lipstick, but I love it nonetheless. It is a blue-toned, fuchsia-purple shade, slightly darker than the Mary Kay one. I know what you are thinking, a cool undertone for summer? Yes! I wouldn't wear this during the day, but for an evening summer outing I think it works really well. I'm very fond of this one particularly because all Urban Decay products are cruelty-free and that wins me over! You can see how much I've used this and I am definitely in need of a new one! A vibrant coral shade, so SO hot and the ultimate shade for the summer. This orange based red shade suits my skin tone really well and it is so pigmented that you don't need much of it to get good coverage. 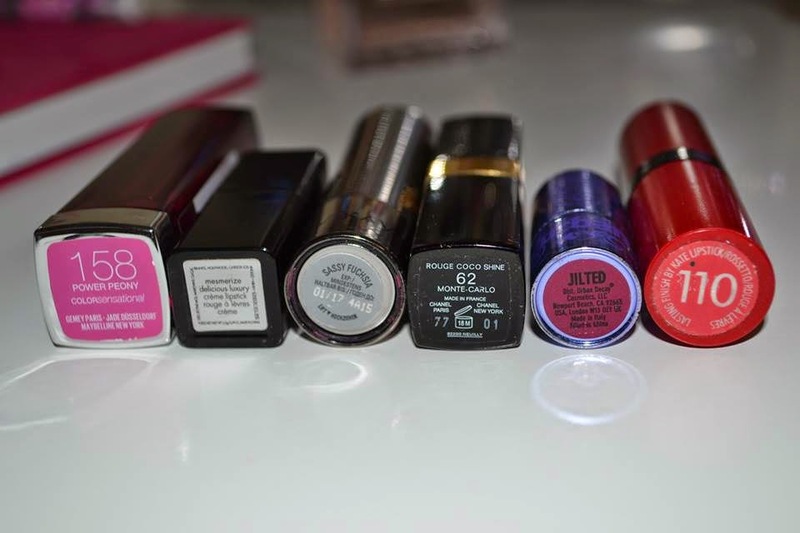 Let's be honest, the whole Rimmel Kate range is great, and this is not any different! 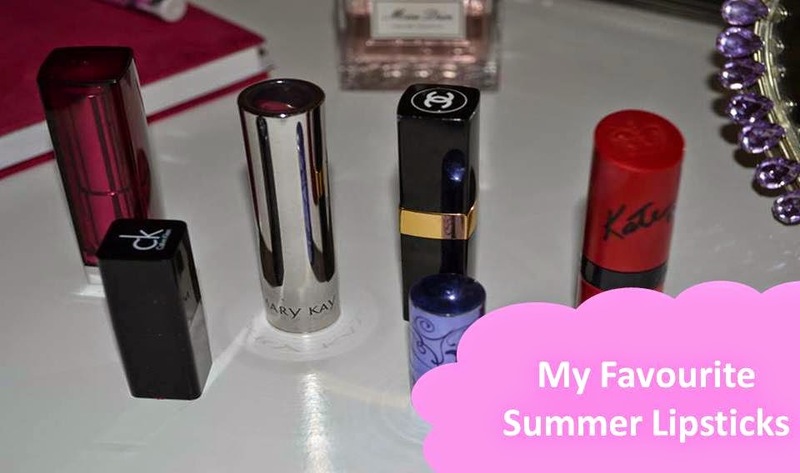 What are your favourite summer lip colours? Thanks for reading beauties and have a lovely weekend! Have a nice weekend too Alice and thanks for the visit! NEED the coral colour by rimmel, I am loving them this season! Wooow, I love it! Enjoy the weekend honey! Thanks for commenting Mary. Will check it out! Thank you Camila. Tbem sou brasileira, vou dar uma olhada! Those colours - Amazing!! Might have to keep my eyes peeled for these. Thank you for all your lovely comments over on my blog - you are my most regular reader. Love it. Doesnt it? I love it too :) Thanks for checking my blog out Mariana! I really love all colors!!! I love the maybelline colour! I'll have to check it out next time I go shopping. you totally should :) Thanks for the visit lovely! the 2nd one and last one are my favourites! The Rimmel coral shade looks fantastic! Loving all your selections here. I generally gravitate towards orange during the summer -- it's just so fun and vibrant! Thank you May! I love some orange too so will definitely be rocking this one out. Thank you for commenting. I will check it out. Thanks for the visit Beba! Thanks for the visit Emma! I don't know why I haven't bought that orange Kate Moss one yet?! It's stunning and I'm always after an orangey shade for summer. Definitely need to pop into Boots! Wow, these are all so vibrant! I usually like to wear coral/orange lippies in the summer like MAC Vegas Volt. 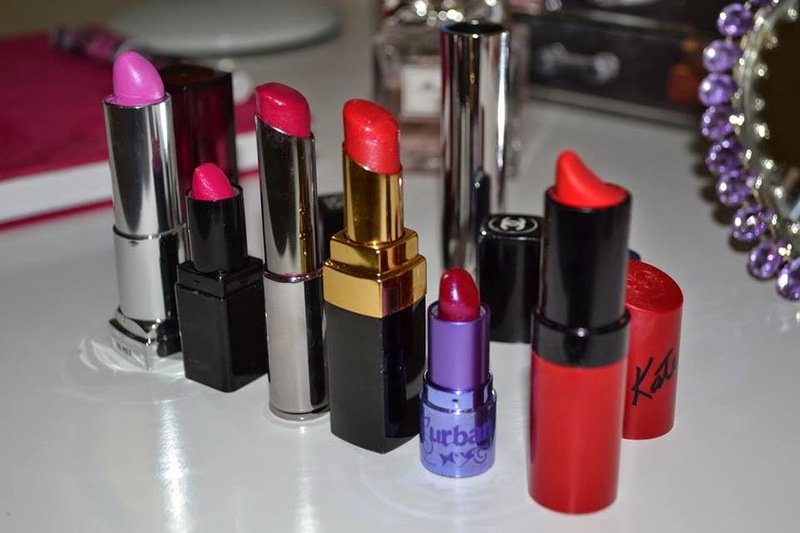 Aw wow these are all so bright, I need to try a new lipstick shade. Wow, these Lispticks are soo wonderful, I love the dark red one! I love them all! Thank you Coli! Love all those shades! My favourite is the last red one!